Building kill plots for deer is a learn as you go endeavor, and lessons learned the hard way stick in your head. I have had both successes and failures building kill plots for deer, and have learned the most important factor is location. Those small plots designed as kill plots need to be in the right location or they will not be very effective. building kill plots for deer starts with the right area, and is eventually built around a specific tree. Most deer farmers would agree that in an ideal world, the major bedding areas are towards the center of your property, with the food toward the edges. It makes deer movement predictable, and allows the hunter to access stand sites by playing the wind without alerting the deer to his presence. It’ a sound theory and one we should try and practice whenever possible. Even though it’s not always possible, we will use the same rationale when building kill plots for deer. The main purpose of the central bedding area layout is to create a plan where we can intercept deer moving to and from their bedding areas without letting them know they are being hunted. It is a simple concept but one that many ignore, and quite honestly can be hard to make work. No deer expert can look at a map and accurately predict all deer movement. They may bang out the buck travel during the rut if you identify bedding areas, but we learn our land by trial and error, and eventually figure out the major deer patterns, how they are affected by neighboring crop rotations, and how to take advantage of these movements. Which brings us to the tree. Once we learn the major patterns funnels, and buck and doe bedding areas, we set our plan for building kill plots for deer. 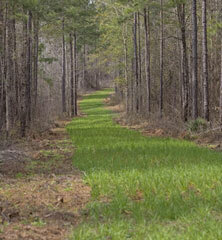 We will be building kill plots for deer in areas between established bed and feed areas that the deer like to travel. Pick your tree and clear some space. The deer naturally travel here, so when we sweeten the spot with a small food plot, it makes an already good spot great. And it’s a fun plan to string together. The size of the kill plot will increase with the size of your deer herd. In areas with deer densities over 50 per square mile, the concept of a 1/10 acre plot will not work. The will eat everything and kill the plot. You either skip the plan or bring the deer numbers down before building kill plots for deer. We need manageable deer numbers to make this work. 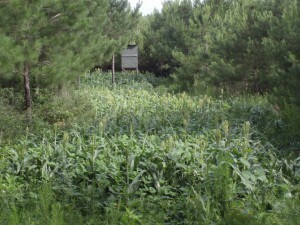 In areas with 15 deer per square mile a 1/10 acre plot is plenty and very easy to establish. In areas with 26 deer per square mile a 1/4 acre with work fine. Don’t let anyone fool you into thinking more is better because the smaller you make can make it, the higher the odds of deer stepping into range. plots for deer means placing the deer where we can kill them. When thinking shape I first consider my effective range. Most of my kill plots will funnel all the deer within 20 yards of the tree I have picked. This means longer and skinny. Round or square is easier to clear trees and let the light in, but I will work a little harder with the chain saw to get every deer in range of my stand. Pick the shape to match your gear and abilities, and as you tip those trees over to let sufficient light to the forest floor, fall them to alter deer movement through your plots. Deer are lazy and will take the path of least resistance you lay out when building kill plots for deer. 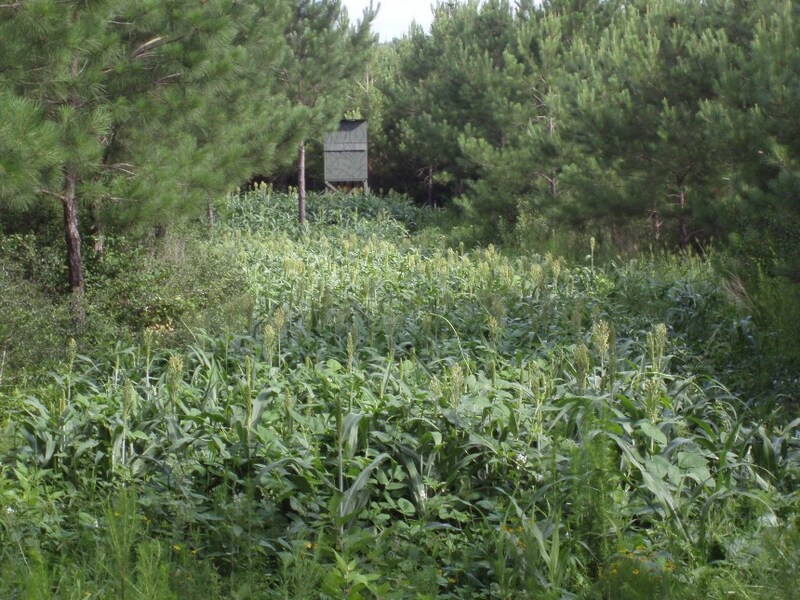 Once a solid plan is laid and you have selected the tree, size and shape of your food plot, you need to execute the farming basics to make the plot grow. We need a complete kill of existing vegetation, the debris needs to be worked under, soil sample must be taken to determine PH adjustments and fertilizer requirements. It is a whole different topic in itself we won’t cover when talking about building kill plots for deer, but they are steps you MUST follow for success. Study up and know the proper steps to prepping and planting food plots before you buy the seed and don’t worry, this plan will take months to come to fruition so you have plenty of time to learn before planting. Building kill plots for deer will be a trial and error process, but head afield with a solid plan in mind. Start by picking the right tree and you are on the path to successfully building kill plots for deer.